Peter-Paul Koch calls for a moratorium on new browser features for ‘about a year’ in order to catch up with what we already have. I disagree with the proposal but it’s a discussion worth having. Reflections on the W3C forming a new group to work on a digital musical notation standard for the Web. There are currently two pieces to the puzzle: MusicXML and SMuFL. Never write a @font-face rule again using this and PostCSS. Just use ‘font-family’ and it’ll work out the rest. 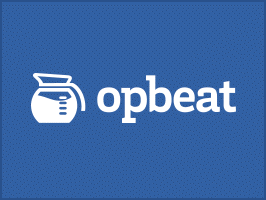 Opbeat have revamped their free metrics service, adding response time distributions, a full activity breakdown, and the ability to see the actual code that is slowing down the request, where is it called from when it was committed. While not finalized, Chrome’s experimental implementation of the Web Bluetooth API lets you access nearby Bluetooth devices from Web pages. Via a designer at Trello comes an eight part CSS guide that provides some structure for writing CSS so it stays clean and maintainable. A tutorial from Lea Verou (extracted from her new CSS Secrets book) on the techniques behind creating dynamic pie charts without any images. A slick 20 part series of videos (all on YouTube but behind an e-mail wall) on the Flexible Box Model that lets you create elaborate liquid page layouts with CSS. Used to declare a set of content restrictions for a web resource, and a mechanism for transmitting the policy from a server to a client where the policy is enforced. This module describes how the CSS formatting box tree is generated from the document element tree and the ‘display’ and ‘box-suppress’ properties that control it. You’ve seen HTML-powered Web-based slideshows before, but this uses WebGL to take the effects to the next level.